A report on issues in NT aboriginal town camps has been released after two years, but there will be more delays before new policies can be formed. The Northern Territory Government has released a review originally commissioned two years ago at a cost of over $2 million. 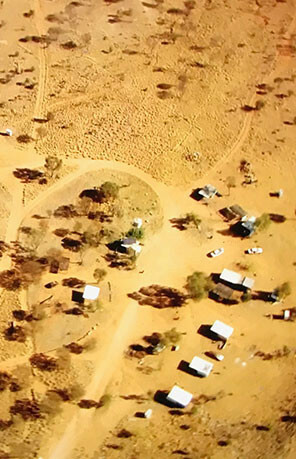 The Deloitte review looked at issues in the Territory’s 43 Aboriginal camps, including housing quality, land tenure, municipal services and community aspirations. The camps are spread across Northern Territory towns including Darwin, Katherine, Alice Springs, Tennant Creek and Elliot. Their residents have longed complained about poor housing and overcrowding, and the effect on poor health, family tensions and insecurity. Among its findings, the report says additional investment in housing in town camps - especially those located in areas of limited economic opportunity would be – “investing in continued disadvantage”. “Investing in growth in town camps that offer impossible economic integration realities will only continue to proliferate the current problems,” the report states. The report calls for more investment in public housing located near better economic prospects, like Darwin. It recommends town camp residents be provided social support to move. “The provision of housing in this region [Darwin] presents the greatest opportunity for town camp residents,” the report says. The Government has already rejected that finding. “The Government doesn't have a policy to shut down town camps,” NT Housing Minister Gerry McCarthy said. “This Government is about supporting people where they live and we're about supporting people in terms of the opportunities they engage with. “The vision for our community living areas [camps] is to normalise those areas so they receive the same resources that public housing receive, those areas are serviced with the same services that everybody looks toward in the Northern Territory, that those homes are raising children with opportunities that every other Territorian experiences,” he said. No details or timeframes have been given for achieving this policy aim. Mr McCarthy said it could take decades. “This is generational change so it would be unwise for anybody to put a calendar timeframe on this,” Mr McCarthy said. The Government’s “in-principle” support for recommendations to bring existing housing and infrastructure up to mainstream standards did not come with the $150 million the experts say it would cost to actually complete. But the Government did announce initial investment of $25 million for urgent repairs, which it later conceded was not a new investment, but already allocated. The $25 million package includes plans to set up a new five-person “Town Camps Futures Unit” to consult with town camp residents and develop policies and plans for individual camps. The Government says the consultation process will take at least another 12 months.